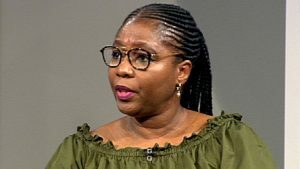 Public Service and Administration Minister Ayanda Dlodlo says public servants who want to exit the service will be allowed to do so without incurring any penalties. She says of the 1.3 million public servants, about 127 000 have indicated their desire to take early retirement. During his Budget Speech this week Finance Minister Tito Mboweni spoke of the need to reduce the public sector’s massive wage bill by R27-billion over three years. He said the Minister said that this will include offering early retrenchment packages to public servants 55-years old and up. It is estimated to include about 30 000 people. In addition, he said that performance bonuses which totals about R2-billion a year, will be phased out. This as the Department of Public Service and Administration is battling with unions over wage increases of personnel. Dlodlo say the Wage Bill is a concern and is being addressed. The post Minister denies any forced age retrenchments appeared first on SABC News – Breaking news, special reports, world, business, sport coverage of all South African current events. Africa's news leader..